Siiri Rantanen clinched victory for Finland in the first ever women’s Olympic relay skiing competition in Cortina d’Ampezzo 1956 by beating the Soviet skier in the anchor leg. 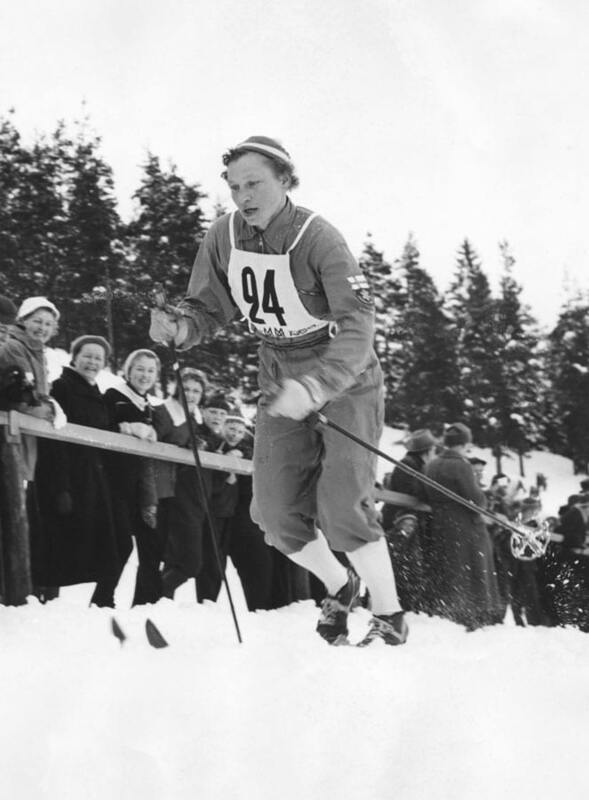 In Oslo 1952 Siiri Rantanen took bronze in women’s first individual Olympic skiing race, completing Finland’s clean sweep of medals in the 10 km event. Her third Olympic medal was bronze in the relay in 1960. At the World Championships Rantanen collected two individual and three relay medals between 1954 and 1962. “Mother” Rantanen was an exceptional figure in Finnish sports circles, as she already had two children before gaining success in skiing; in the 1950’s it was still rare for women to continue in sports after marriage.